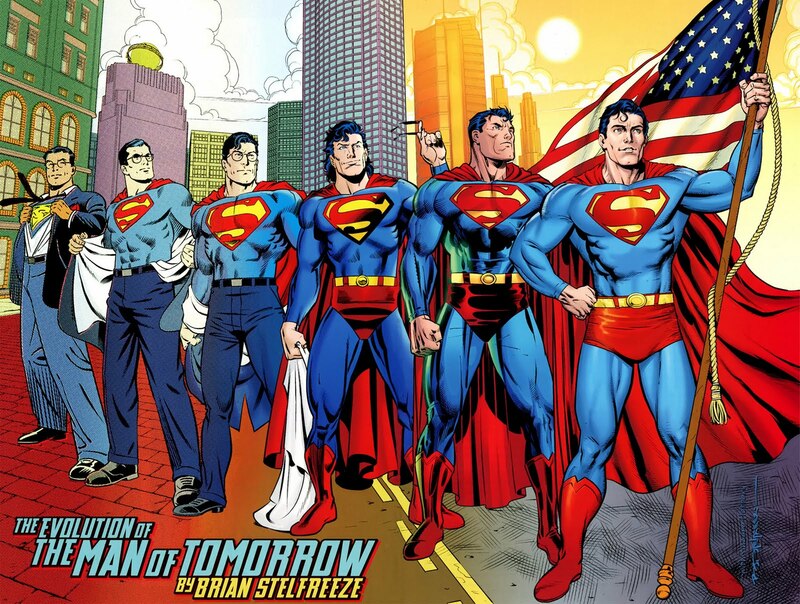 OK, time to weigh in on the Man of Steel's suits that are a part of DC's relaunch. First off, for the record, I am not in favor in the costume change, but no one asked me (not even my FB friends at DC). However, we are getting it, so let's move on. Before we begin, there is one thing that's bugged me from the previous origins of the suit. It's something that's basically been lost over time except for people who read the books WAY back when. In the Pre-Crisis days, Superman's costume origin was REALLY weird. The material came from three blankets that were wrapped around baby Kal-El in the rocket sent to Earth. When the time came to create the suit, they showed how indestructible it was by one taking a bullet from a rifle, another one taking stabbing from a pitchfork, and the third by having dynamite placed under it. 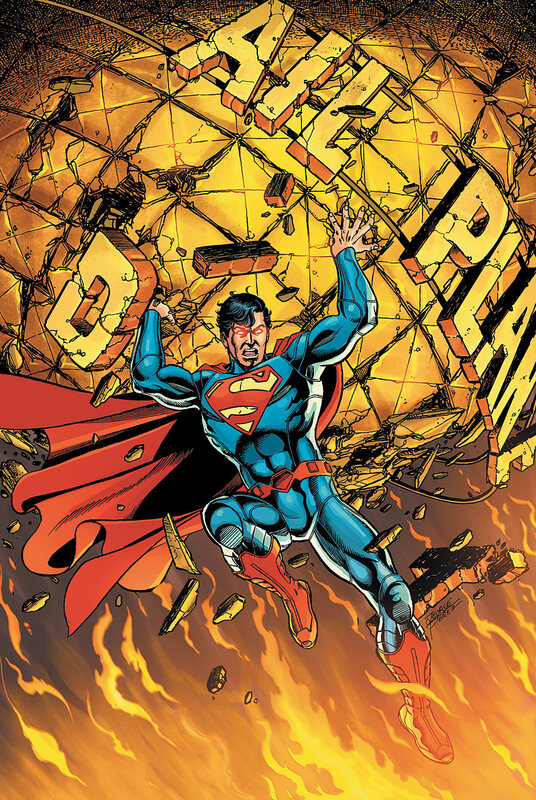 YET, Martha Kent was able to unravel it to created the suit and cape. O......K.
Now, to the current situation, I kind of like the first version (or the Bruce Springsteen version as it's been called). I'm assuming Martha has very little costuming experience, so creating something like the classic suit may be A LITTLE DIFFICULT. So, a shirt with the S shield, blue jeans, worker (or farmer) boots, and the ONE blanket as his cape. 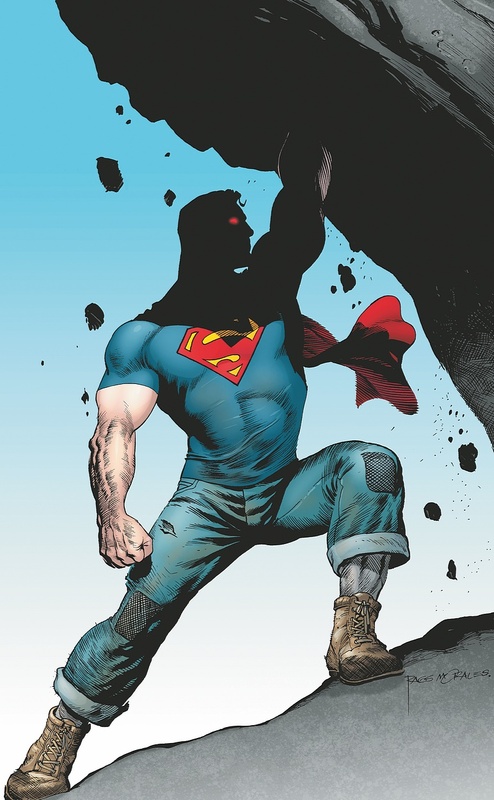 I know fans have a problem with this, but it's essentially Conner's outfit except the T-shirt is blue and "the cape." Now...the armor. I have a theory, but it's probably wrong. 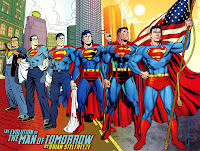 Remember, Krypton orbited around a red sun, which made it's citizens ordinary just like us. So, if there was war or conflict on the planet, it was more than likely they wore armor - not the robes or outfits we've seen back in the silver age. Could the suit be his father's armor, since it bears the family crest (meaning the S - which is now part of lore ever since Superman: The Movie)? Maybe, maybe not. Maybe they haven't thought about it. Who knows? Maybe time will tell. That's what I'm holding on to until told differently. Do I like it? It's OK. I wish the belt was yellow and not red. The absence of the trunks doesn't bother me. The collar thing for all of the Justice League is supposed to represent royalty. OK, whatever. Look, these are cosmetic changes, the real thing we need to hope for are good stories. We'll see here in a few weeks if that's what we'll get.